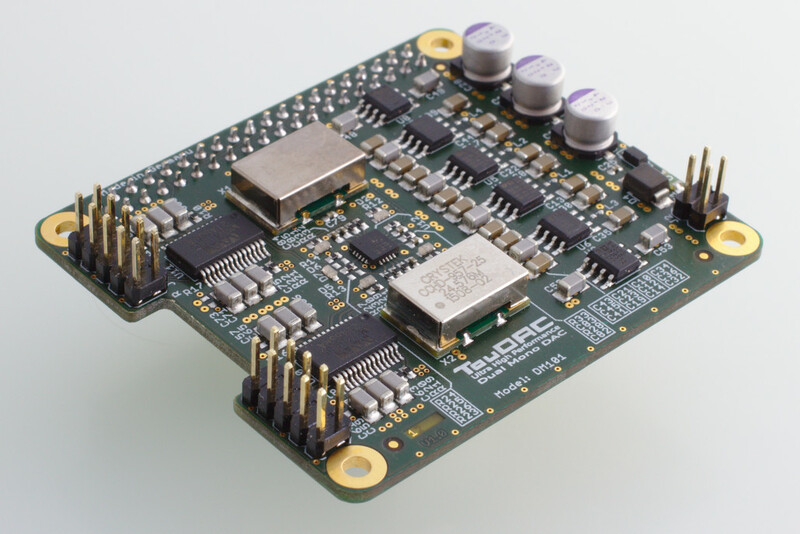 The TauDAC-DM101 is a ultra-high performance I2S DAC module for the Raspberry Pi. 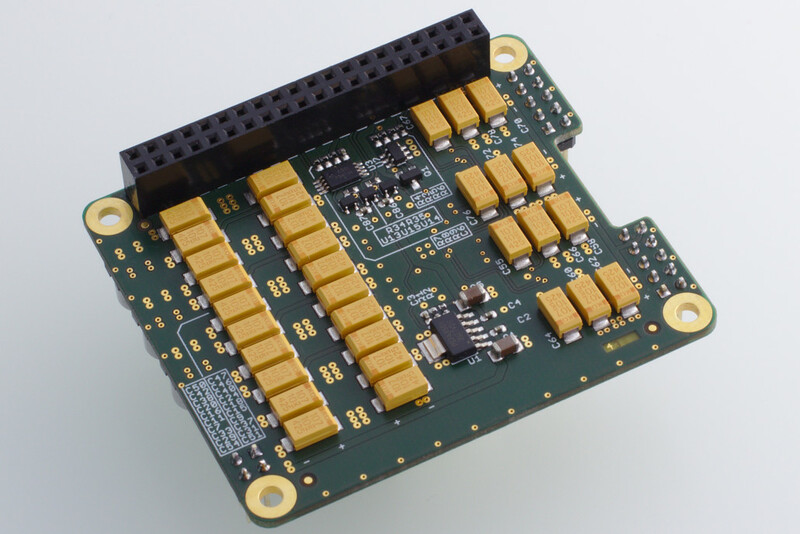 It uses two outstanding WM8741 DAC-chips in dual-mono mode and ultra-low phase noise clocks. The DAC-Chips and the clock oscillators are driven by separate, ultra-low noise, high PSRR power supplies. The board complies with the Raspberry Pi HAT (Hardware Attached on Top) requirements — including ID EEPROM support, display flex cutout and back powering. 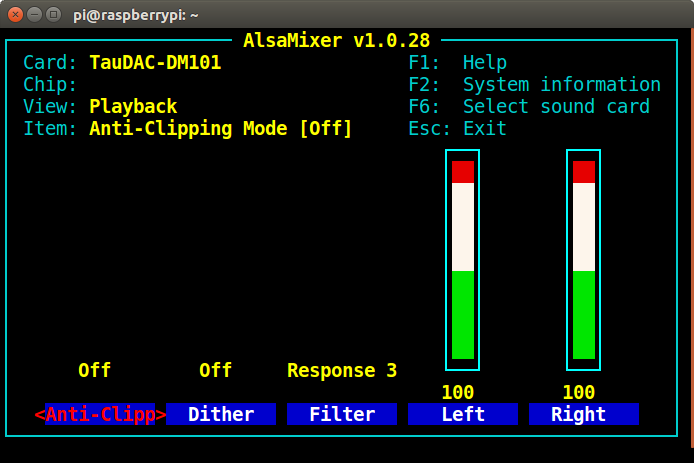 Ultra-high performance DAC for the Raspberry Pi. Ultra-low phase noise oscillators & high performance DACs in mono mode. 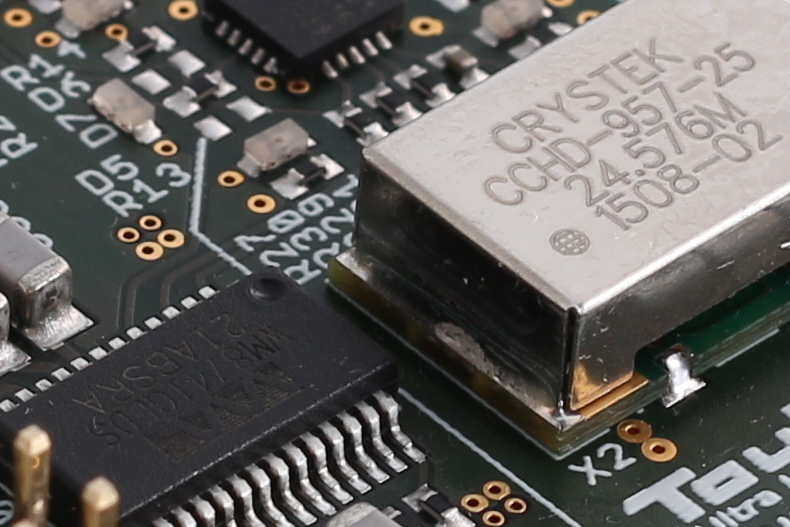 Ultra-low noise, high PSRR linear regulators. The DACs, the master clock and the Raspberry Pi are driven by separate power supplies. 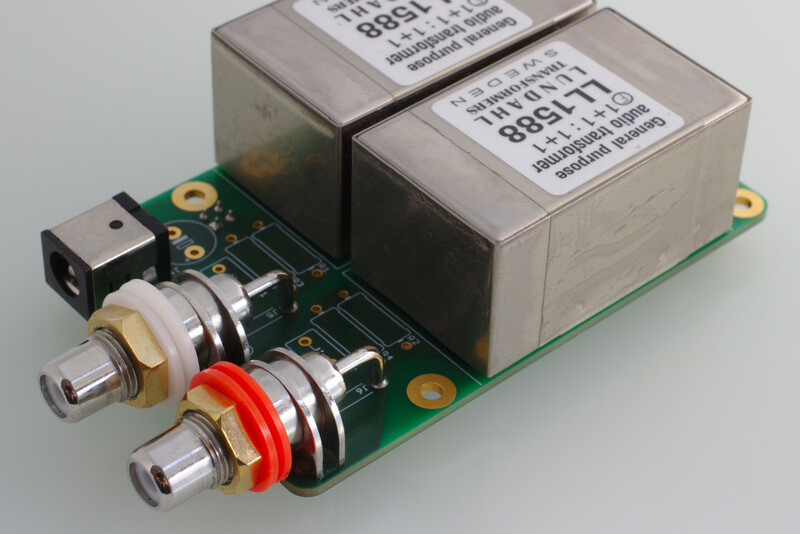 The TauOUT-TP101 is a high performance passive output stage for the TauDAC-DM101. 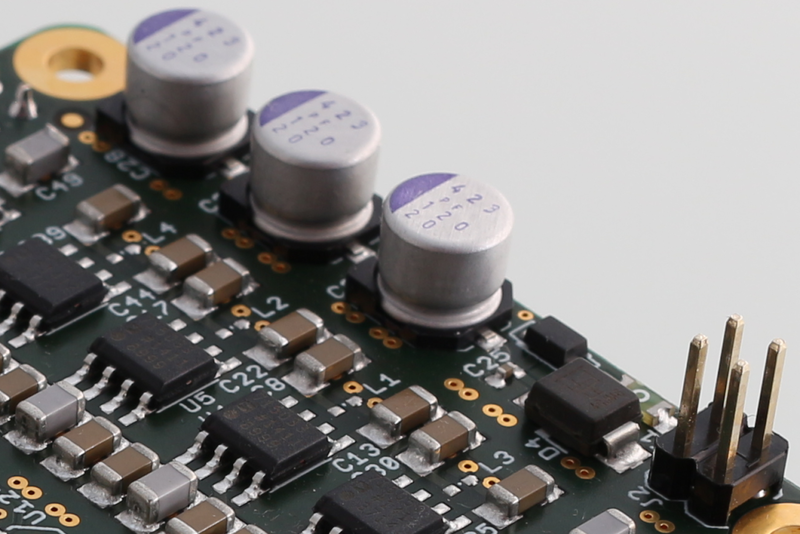 The module features Lundahl transformers for summing the differential outputs of the DACs as well as for galvanic isolation. Passive output stage for the TauDAC-DM101. Assembled music player, composed of: Raspberry Pi 2, TauDAC-DM101 and TauOUT-TP101. The RCA and the DC power connectors are at the same side as the USB and Ethernet connectors of the Raspberry Pi — the assembly can be build into a case with all required connectors at back panel. The TauOUT board provides a DC power jack. 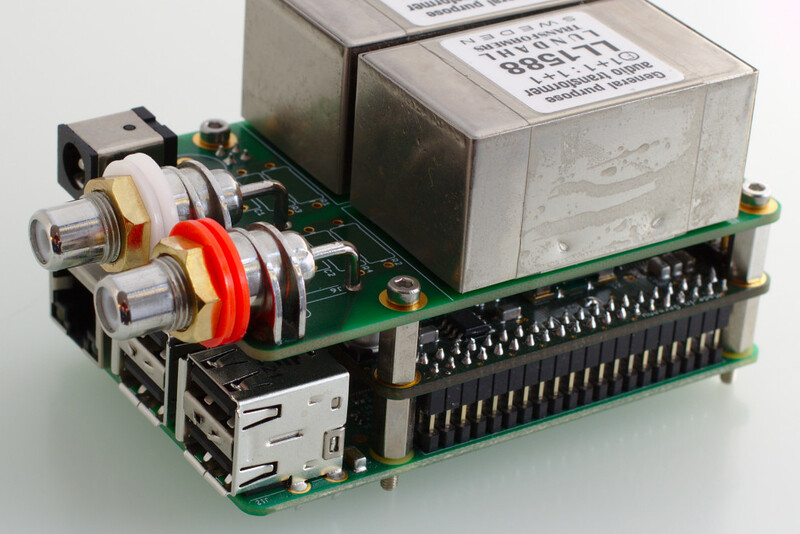 You need a single 6.3 – 9.1VDC power supply to power the Raspberry Pi and the TauDAC through the TauOUT board. The power supply should be able to provide at least 1.5A. The DC power jack center pin has a diameter of 2 mm. It is not necessary (and not recommended) to connect an external power supply via USB to the Raspberry Pi. How to get a TauDAC? Stay tuned… and leave a message. This is a hobby project. Please note that occasionally it might take a day or two until I get the chance to reply.